Not all calligraphy is the same. 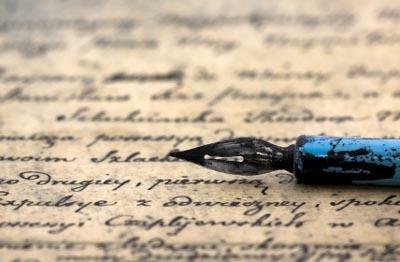 In fact, this form of artistic handwriting can actually fall into a number of different styles. Essentially, there are three main types of calligraphy: Western, Arabic, and Oriental. Within each style, there may be several lettering sub-styles or hands. Seeing examples of these styles can help you perfect your art and get inspired to create something amazing. Western calligraphy, or calligraphy of the Latin writing system, is generally what people in the United States are discussing when they refer to the craft of hand lettering. This style is useful for many different projects, including hand-addressing invitations, creating beautiful written artwork or poetry, and enhancing other paper crafts. Typically, Foundation Hand is one of the first calligraphy styles people study when they are learning calligraphy. Also sometimes called "Bookhand," it's one of the most basic styles you can write, and it's also very easy to read. This means it's a great choice for anything that needs to look elegant but also legible, such as an address on an invitation. Foundation Hand has a few fancy flourishes, but for the most part it's a simple choice. If you're a beginner in the art of calligraphy, this may be the style for you. Another simple option in Western calligraphy is Italic Hand. This style, also called Chancery, is what most people think of when they imagine something written in calligraphy. Each letter slants gently to the right giving the typeface an elegant, although still very legible, appeal. This is the basis for the modern Italic typeface. Italic Hand is great for writing a special invitation or creating a framed family tree, poem, or other written work of art. Because it's still so easy to read, it's as practical as it is fancy. Also called the "Rustic Capitals," this style of calligraphy features only capital letters. They are chunky and not particularly uniform, giving them an ancient and appealing look. Certain letters such as B and F are taller than the others, and there is no letter U included in this alphabet. Instead, the letter V doubles for both U and V.
This simple hand is a good choice for official-looking documents, anything using Roman numerals, and items that you want to look antique. Since it doesn't include lowercase letters, it isn't particularly versatile. Also known as "Gothic Script," this style involves thick, chunky letters. It dates from the 12th century and is the type of calligraphy you would find in old manuscripts or illuminated texts. The letters are angular and it's common for them to intersect slightly with one another. Blackletter Script isn't the best option for things that need to be easy to read. Instead, it works well for making beautiful artwork from old poems or other written works. It's a good choice for something you plan to hang on the wall, since the viewer can take his or her time reading the text. Delicate and extremely elegant, Copperplate Script is a beautiful style of calligraphy. The distinguishing feature of Copperplate Script is that it is created using a sharp pointed nib instead of the flat nib used with most other types of calligraphy. This gives it a spidery, beautiful appearance that appeals to many people. Copperplate Script isn't quite as legible as Italic Hand or Foundation Hand, so it may not be the best choice for addresses or other items that need to be read quickly. However, it's easier to read than many other options and would be ideal for a special invitation or note that the recipient can linger over and save. Arabic calligraphy, which is also known as "Islamic calligraphy," had a very important role in Islamic culture. Scribes used this type of calligraphy to preserve and reproduce the Qur'an, and many considered it a way to represent God without creating an image of Him. The original form of Arabic calligraphy, Kufic Script focuses heavily on horizontal motions and geometric patterns. It also features marks over the letters, sometimes created in a contrasting red ink. Today, Kufic Script is popular for stone carving or heavy ornamental work. It's mostly used for decoration rather than creating legible written items. During the 10th century the Naskh Script, a type of cursive writing, replaced the more difficult Kufic Script. Naskh Script involves delicate, thin lines and is easy to read. 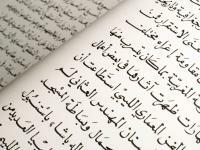 Today it is the basis for most Arabic print scripts. You can use Naskh Script to create Arabic correspondence, beautifully reproduce a poem, or for any other purpose that requires a delicate and legible hand. Used throughout Asia in subtly different forms, Oriental or Chinese calligraphy is an ancient and beautiful art form. Artisans produce this type of calligraphy using a small, tapered brush instead of a pen and nib. There is a very strong emphasis on the motion of the letters, which seems to give this style a life of its own. Oriental calligraphy evolved over the centuries to become a legible, beautiful way of expressing language. The traditional style, which is still used by scribes and artisans today, is called "Kaishu." It's extremely easy to read and is considered an art form. If you're in the process of learning a new style of calligraphy, sometimes a template can be just as helpful as an example of that style. You can find a variety of free calligraphy templates online for the various styles you might like to attempt.